One day Sakuta noticed something odd in the school library: a bunny girl, and only he seems to be able to see her. It turns out people can't see Mai on some days, but she seems to become less and less visible as time goes on, despite being well known at the school. Sakuta is familiar with such supernatural occurrences he calls "Adolescence Syndrome". In his past he was severely affected by such occurrences, and has done his best to cope with them. This time he's the only one who can help Mai before she disappears entirely, but as he encounters more Adolescence Syndrome cases, he may have to face the one which broke up his family. Judging from the title, I thought this would be either stupid, or overflowing with fan service (more likely both), however Bunny Girl Senpai is fairly intelligent, with good story and characters. The bunny girl thing is a gimmicky hook to get you interested before it mostly drops it. The rest of the anime is one of those situation shows where some supernatural thing happens and the characters have to deal with it. Anime having no shortage this stuff, it's not anything new, but the formula is done well enough here to make this worth watching. 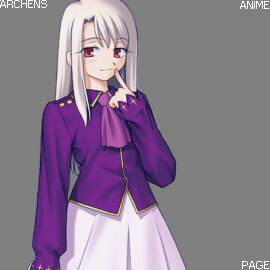 There are a few main characters, with each of them being involved with a "adolescence syndrome" incident. These don't have any relation to each other, they're just weird things that make the plot happen. I wasn't keen on the "scientific" explanations for why they're happening. The reasoning is a huge stretch, but more so I didn't like the very lengthy dialog for the explanations which didn't interest me. The characters have good depth to them, which helps each story, but I think it was a great idea putting Mai's story first. When Sakuta and Mai first meet, she seems to be enjoying herself doing things when no one else can see her (like dressing up as a bunny girl - something most girls would want to do I'm sure .. in my fantasies). She's usually stern and collected, but when faced with the reality she may fade from the world things get a little scary. Sakuta is the only one who can help, and in resolving this incident the two become very close - and sort of dating. 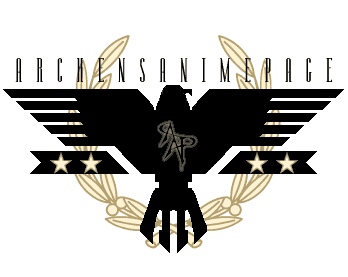 It's a great story, laying a solid foundation for the anime instead of holding it back for later in the show. 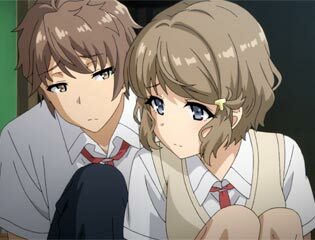 My favorite feature of Bunny Girl Senpai were the interactions between these two. Sakuta has a knack for saying things that aren't quite appropriate, yet Mai rarely seems flustered with her witty replies. I also liked that the two are definitely on romantic terms and not stringing the viewer along with the potential for romance: the two are already involved and building on the bond they share. As for the rest of the stories, they're good too! The characters and situations are interesting, with the final one being especially good and something I didn't expect. 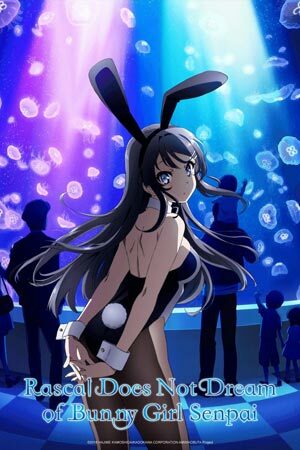 Bunny Girl Senpai is self contained and the stories are done, but it doesn't have a big resolution to the Adolescence Syndrome thing. It doesn't feel like it needs to, so can be watched as is or maybe there will be more to come later. It's fine either way. 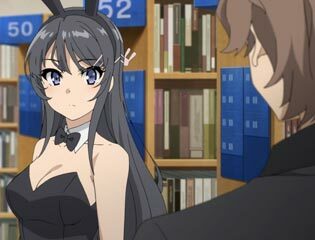 It's worth picking up Rascal Does Not Dream of Bunny Girl Senpai because even though libraries don't stock bunny girls (as they should) anime will always be there to deliver. Sakuta: It's not like I live to have all of humanity like me. I don't mind if I only had one person. Even if the whole world hated me, I could keep living if that person needed me.